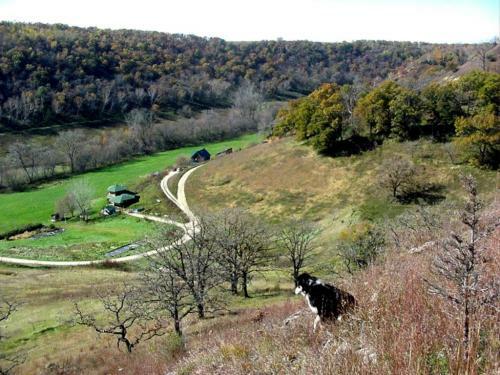 Zephyr Valley Community Cooperative is a rural housing intentional community of six families living in southeastern Minnesota on 500 acres of stunningly beautiful land in the hill country. We welcome beginning farmers and homesteaders who are interested in a cooperative kind of living and who could join us in “building community, nurturing the land”. Housing and building sites available. Decisions about the land and community are made by consensus, all other decisions are individual ones. The land, bought by the Coop in 1994, has hundreds of acres of restored wetlands, pastures, woodland, bluff lands, high grass meadows, ponds, creeks and a trout stream. It's a great place for children to grow up with an intimate knowledge of the natural world. 80 acres of land are farmed organically, currently in pasture & prairie flower plantings. There are six individual homes and one under construction which is available for sale. Homes occasionally are available for rent. We have two barns and several outbuildings. We have a community center (for community meals, parties, meetings, guests, etc.) as well as a spring-fed swimming pond, a soccer/baseball field, and trails for walking and skiing. Winona, Rushford, and La Crosse are all within a 30-minute drive, bringing you five college campuses, an arts community, and a family-friendly environment. This is a wonderful place to live, whether you’re interested in small-scale, organic farming or just in living in a rural community.